Did you know a person can gain access to Siri even if you have a passcode on your iPad? The lock screen may keep people out from your iPad, but they can still gain access to Apple's voice-activated intelligent assistant by simply holding down the Home Button. 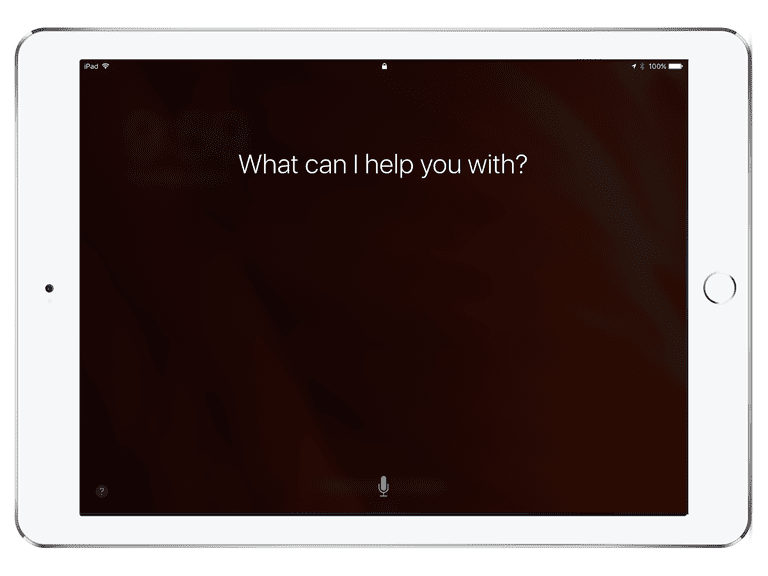 This can be a great feature for those who want to use Siri without unlocking their device, but it can also be a point of entry into certain features of the iPad. You can use Siri to set a reminder or set up a meeting without unlocking iPad. You can also access some of the "nearby" features such as finding the nearest pizza place. Siri is also able to check your calendar, and on an iPhone, she can place phone calls. What Siri can't do is open an app. If requested, she will ask for the passcode before proceeding. This includes requests that require her to open an app to complete, such as looking up directions to that nearby pizza place. The ability to access Siri from the lock screen can be a good thing, but for security conscious people, it's a way into the iPad that bypasses the lock screen. Luckily, there is a setting that turns this on or off without turning completely turning off Siri. Next, scroll down the left-side menu until you locate "Passcode". If you have an iPad with Touch ID like the iPad Air 2 or iPad Mini 4, this category will be called "Touch ID and Passcode". Either way, it will be just above the Privacy settings. You will need to enter your passcode to open these settings. The Allow Access When Locked section will let you turn off access to Siri. If you don't ever use Siri, you can easily turn Siri off completely. However, if you have never given Siri a try, you should take her out for a spin. The ability to leave yourself reminders alone can be a good enough reason to use her. You can also launch apps quickly with Siri by saying "launch [app name]", although I prefer launching apps through Spotlight Search. And, of course, she can play a specific song or playlist, check sports scores, find out all of the movies Liam Neeson among other important tasks. You can turn Siri off by going into Settings, choosing "General" from the left-side menu and then Siri from the general settings. Siri is right at the top below software update. Simply tap the on/off slider at the top of the screen to switch her off. It may not be enough to just disable Siri on the lock screen. You can also access Notifications and the "Today" view, which is basically a snapshot of the calendar, reminders and any widgets you have installed. The iPad will also show recent notifications. Again, for those that want quick access to this information, having access on the lock screen is a great thing. But if you don't want any stranger, co-worker or so-called friend to have access, you can turn both off in the same section of the Touch ID and Passcode settings used to turn Siri off. You can also control smart devices in your home without unlocking your iPad. Home Control works with lights, thermostats and other gadgets that you've made "smart" in your home. Luckily, trying to open a smart lock or raise a smart garage door will require your passcode if you are on the lock screen, But if you are going to take the time to lock out Siri and Notifications, you should lock out Home Control. It's easy enough to unlock your iPad using Touch ID. If you are super security conscious, you will want to know about the Erase Data setting on the iPad. This switch is at the bottom of the Touch ID & Passcode settings. When it is turned on, the iPad will erase itself after 10 failed attempts at inputting the passcode. If you combine this with backing your iPad up on a regular basis, this can be a great fail-safe.